Between family responsibilities, mounting pressures at work, finances and debt, it can be really hard to “be a man”. Of course these normal responsibilities equally apply to women, but guys still put pressure on themselves to live up to some concept of what it means to “be a man”. This can cause anxiety and over time can chip away at a man’s self-esteem. While it’s a very normal life experience, most men are hesitant to talk about their feelings or mental health, often fearing how it may alter people’s perception of them. One in ten men experience major depression throughout the course of their lives, and men account for 75% of all suicide rates. These alarming numbers show just how vitally important it is to have candid conversations about men’s mental health, depression and suicide. Understandably, it can be a scary conversation to start when you know a good buddy of yours is really struggling with a mental health issue. The best thing you can do is prepare for it and be yourself. Guys are often worried about saying the wrong thing or making it worse. “You’re not going to give someone the idea [of suicide] or make it worse,” says psychiatrist Dr. Tom Ungar. The best thing you can do for your friend is just talk to them. While you can’t fix someone else’s problems, you can be there for them and help just by listening. The Movember Foundation put together a simple plan to help with this difficult conversation. You won’t make things worse by asking how he is doing. It’s really hard to recognize changes in people and find out what’s really going on. If you’re worried that they’re having suicidal thoughts, just ask him about it. You’re not going to give him the idea. Get specific and ask how he’s doing at work, what’s going on at home, how the family is, if he has been active lately. And if he’s not ready to talk, make sure he knows you’re there for him and that you care. If he avoids your questions, try different ways to get him to open up by sharing what’s going on in your life. “Guys don’t tell you how they’re doing sometimes, you kind of have to go after it, like you’re digging for a puck in the corner, or some guys just want to avoid the topic altogether,” says Dr. Ungar. You don’t want to interrupt, judge, or diminish how he’s feeling, and as much as you want to help, it’s best not to offer solutions or advice. Try nodding, asking open-ended questions, or asking about things he’s just said. When someone confides with you regarding suicide; don’t worry, just listen, be supportive and encourage them to get help. They can call the suicide hotline, contact a medical professional or consult their family doctor. And if it’s really urgent, they can go to any emergency room, but the important thing is that you will be there to support him, he won’t have to do it alone. Look out for your friend by reaching out and make a point to check in with him periodically to let him know you’re there. That’s all you have to do. There isn’t a magical trick to it. Rebuild your strong social connections with your friend and plan to get out and do something active. Go for a run together, workout, or plan a pickup game of hockey. The idea of a friend confiding about suicidal thoughts would be scary for anyone. It’s a conversation most of us are not prepared to have, but the great thing is that anyone can do it. 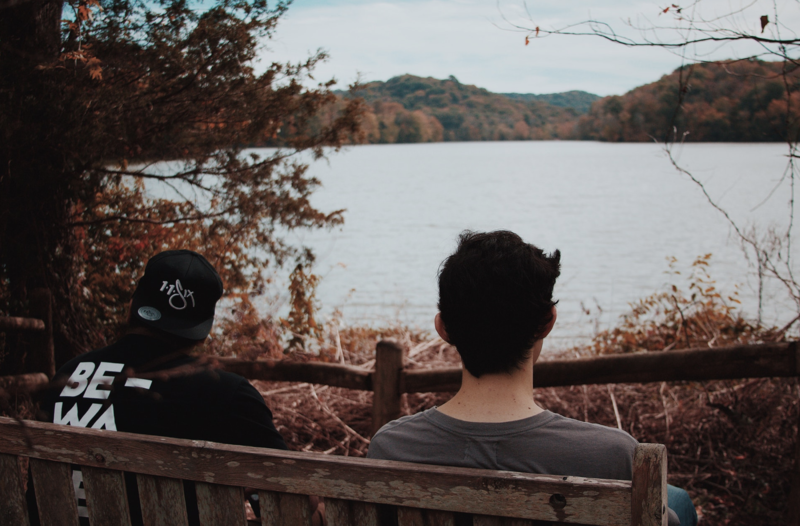 Asking about and listening to someone to talk about their suicidal thoughts is usually a relief for them and actually lowers the likelihood they will act, so pull the goalie and go for it. Locker Room Doctor takes a lighthearted approach to make the prospect of talking to a friend about suicide possible, encouraging us to have honest discussions with friends in need. Watch this video and learn the right and wrong ways to approach this when a friend is asking for help.